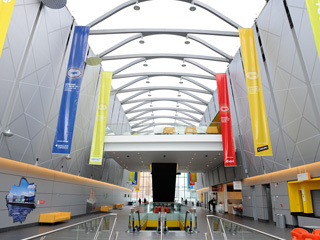 The city and the venue were chosen because of Liverpool’s appeal as a conference destination and its reputation in the medical sector. This, together with the popularity of the event and strength in programme, led to more than 1,700 delegates attending from 68 different countries, up from 1,200 in 2011. The programme included world-renowned speakers from the UK and abroad. Firsts included the College linking with the UK specialist societies for active input into the scientific programme and the introduction of the RCOG Sir William Gilliatt Awards. ACC Liverpool’s in-house team delivered full production during the three-day event including speaker recordings which delegates were later able to download. AV support was provided through the venue’s ‘At Your Service’, a menu of value-added services that clients can choose from.